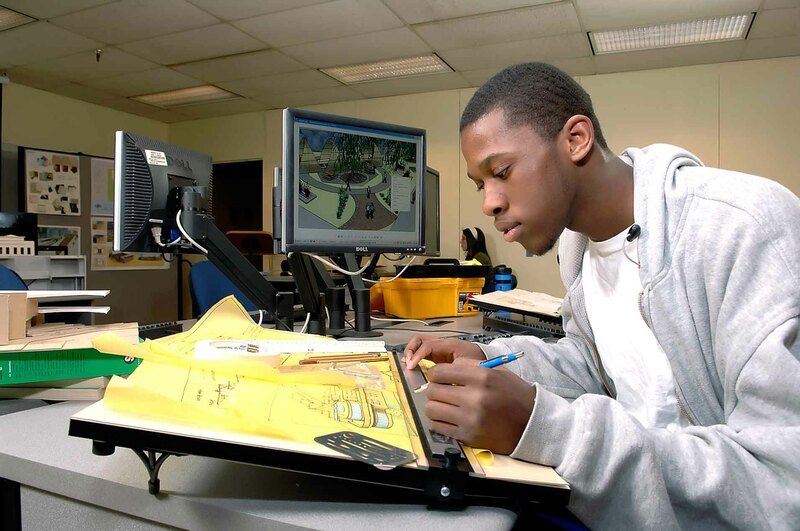 This certificate prepares students interested in the field of computer-assisted design technology, current workers desiring more training, and those with a background in related technical fields for careers as architectural visualization (AV) specialists. Entry-level AV specialists assist design professionals in the architecture, engineering and construction fields in translating ideas, sketches and technical information into complex three-dimensional digital models that often employ animation. Students taking this certificate will build both the technical competencies and the strong collaboration skills needed to work in today’s professional AV environments. The following courses and sequence of courses is designed for the optimal success and completion of the Architectural Visualization Proficiency Certificate degree/certificate. Any alterations should be discussed with your academic advisor.